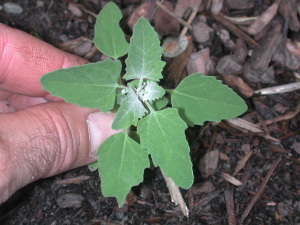 Lamb’s quarters (Chenopodium album), otherwise known as lambsquarters, goosefoot, fat hen, and dozens of others, is a tasty and highly nutritious relative of spinach. Sold at markets as Bathua in India, it is used to make saag dishes. Lamb’s quarters is pretty easy to identify. 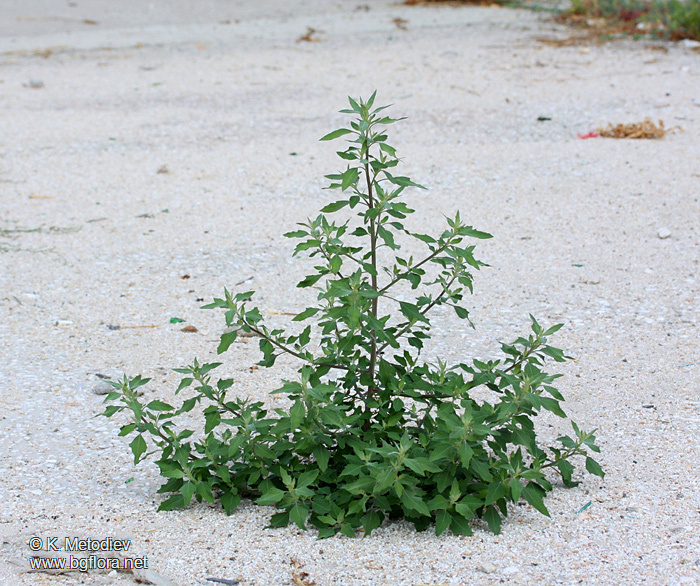 Its leaves do look like goose feet (hence the common name goosefoot). At maturity, it can get waist-high. 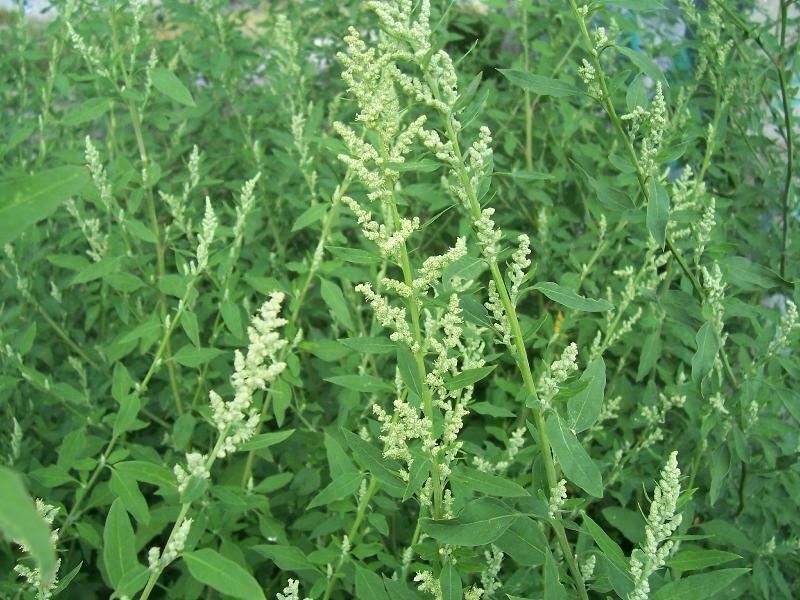 There is often a purple tinge to the whole plant and a white powder on young leaves. Click here for a complete botanical description. The powder can be rubbed and washed off, but I don’t take the time to do it. It’s a matter of preference. Lamb’s quarters is very mild tasting raw, even when the plant is mature, and really does taste like spinach when cooked. We harvest its leaves from the time they are young shoots in late spring all the way through autumn. It’s a powerhouse with 281% DV of vitamin A, 111% DV of vitamin C, 1112% DV of vitamin K, and 46% DV of calcium per one cup cooked. Click here to see more nutrition info. I dry the leaves along with dandelion for a winter green smoothie powder. You can also eat the seeds (like quinoa, a member of the same genus), but they are very tiny, so you need to harvest a lot of them. Lamb’s quarters contains saponins (click here for a shampoo recipe along with a few food recipes) and oxalic acid, so just eat reasonable amounts of it, just like other greens. It also readily absorbs nitrates from the soil, so don’t harvest from contaminated areas. If you have sensitivities to spinach, you may also have sensitivities to lamb’s quarters.